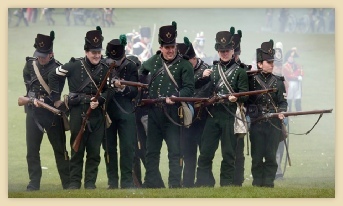 Established in 1975, we recreate the 95th (Rifle) Regiment of Foot and have the honour of portraying the 1st Battalion (1/95th) of this world renowned regiment within the Napoleonic Association. Our Society consists of people from all walks of life; male and female, young and old alike, coming together to share a passion for recreating a part of our military heritage. We enjoy and take pride in what we do, entertaining and enlightening members of the public to this period in history, through our shows and events. We are a family orientated unit with partners and children welcomed. Between March and October each year we take part in events such as battle re-enactments, training and drill, parades and proms. The Baker rifle (officially known as the Pattern 1800 Infantry Rifle) was a flintlock rifle used by the Rifle regiments of the British Army during the Napoleonic Wars. It was the first standard-issue, British-made rifle accepted by the British armed forces. The Baker Rifle was first produced in 1800 by Ezekiel Baker, a master gunsmith from Whitechapel. 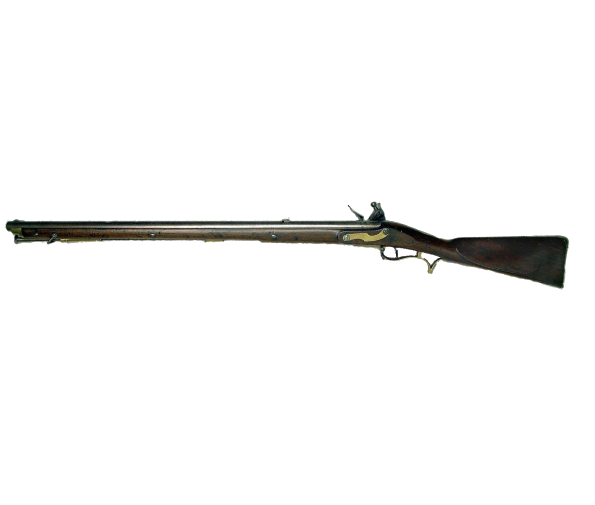 The British Army was still issuing the Infantry Rifle in the 1830s.